What Makes the Radiant Diamond Cut Unique? 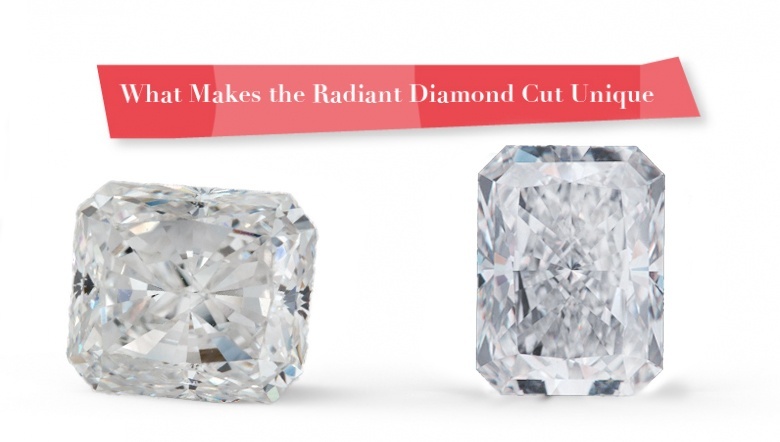 Radiant cuts have made a huge splash in the world of diamonds, and for good reason. These diamonds are brilliant, eye-catching and classic. But why? What makes this shape so special? 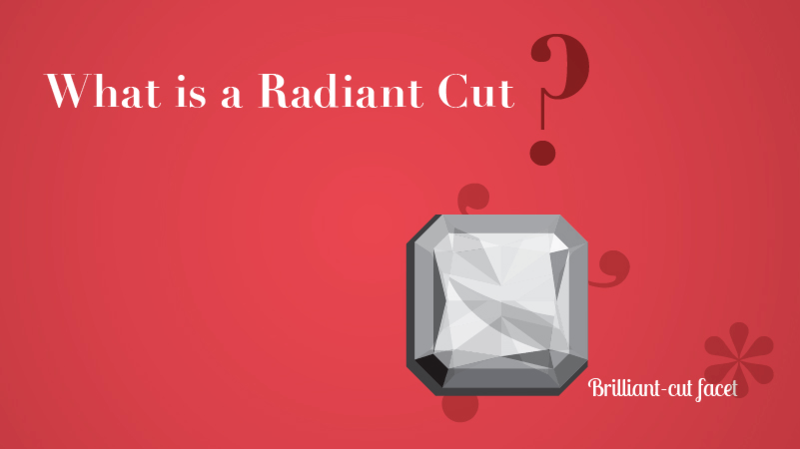 What is a Radiant Cut? The radiant diamond has a brilliant-cut facet pattern on both the crown and the pavilion of the diamond. This means the 70 facets of a radiant cut, either in a triangular or kite shape, radiate from the center of the stone, giving the diamond more sparkle and shine. Radiant diamonds have cropped corners, and can either be very square or slightly more rectangular. These cropped corners make this shape perfect for women who live active lifestyles, since the diamond will not catch on anything while you’re on-the-go. The shape of a radiant diamond is similar to that of an emerald, however its cut makes it much more brilliant. It is often thought of as a modern hybrid between a round and emerald diamond because of its near-square appearance and cropped corners. It is believed the best radiant cut diamonds have a flat top surface, known as a table, that takes up more than 61% of the diamond’s visible width. Radiant diamonds attract a lot of color, so many diamond experts recommend going no lower than a I color. This shape hides inclusions well, so it is recommended you stay at a SI2 or above when buying a radiant cut diamond. So, when you are shopping for a radiant cut diamond, you don’t need to prioritize clarity as much as the other four c’s, carat, cut and color. Henry Grossbard of the Radiant Cut Diamond Company first designed the radiant cut in 1977. Prior to the introduction of the radiant cut, all diamonds with a near-square shape were considered less brilliant than other cuts. Grossbard set out to show the world square and rectangular diamonds could capture the same sparkle as round stones, and he succeeded. The result of his efforts was a step-cut diamond with a brilliance that could rival even the most incredible oval, round or pear shape diamonds. The radiant cut is also known as the first cut to use a brilliant facet pattern on both the crown and pavilion, which gives it even more sparkle. 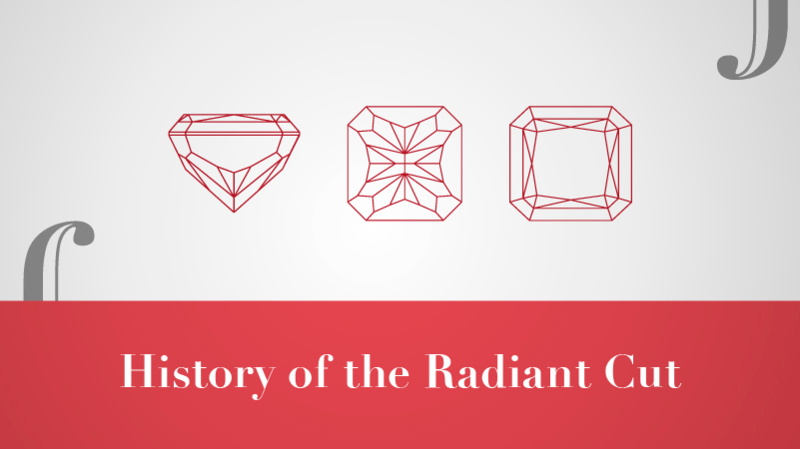 Because of its incredible sparkle and modern shape, celebrities have always been fans of the radiant cut diamond. Whether they’re walking down a red carpet or just shielding their faces from the paparazzi, the radiant diamond is the perfect accessory for any celebrity in the public eye. When Jennifer Aniston walked down the aisle for the second time to marry Justin Theroux, she wore a breathtaking, 8-carat radiant cut diamond on her finger paired with a yellow gold band. The sparkle of her diamond almost overshadows her beautiful, megawatt smile! Drew Barrymore’s former husband, Will Kopelman, proposed to the actress with a beautiful, 4-carat radiant cut diamond paired with a band covered in smaller diamonds. 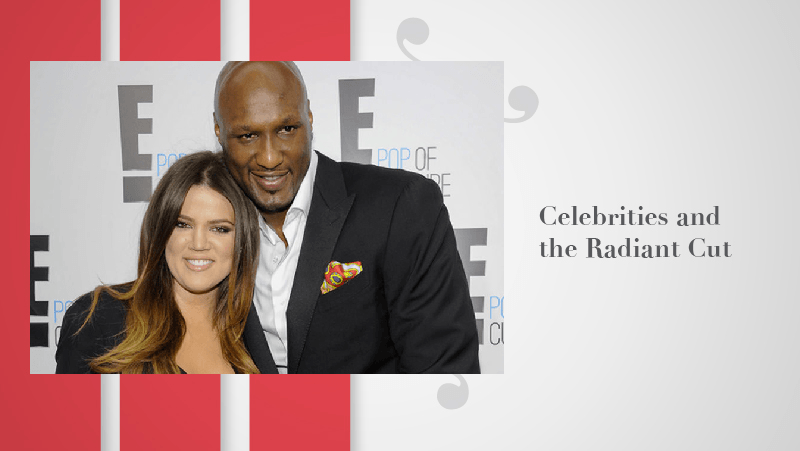 When Khloe Kardashian said yes to Lamar Odom, she also said yes to a dazzling 12.5-carat radiant stone from Vartan’s Fine Jewelry. The ring is estimated to be worth around $850,000! Megan Fox and her longtime love, Brian Austin Green, celebrated their engagement with a 3-carat radiant cut diamond which she pairs with a matching eternity band. Back in the early 2000s when Jennifer Lopez and Ben Affleck were known as “Bennifer,” the stars were planning to tie the knot with a 6.1-carat Harry Winston pink radiant diamond worth a whopping $2.5 million! Although the pair never made it down the aisle, this ring was a showstopper during their brief engagement. Former Disney Network star, Hilary Duff, accepted a 14-carat radiant cut diamond from former love and hockey star, Mike Comrie. The ring was worth an estimated $1 million! Due to the large number of celebrities who rock radiant cut diamonds, you don’t have to look far for inspiration if you want to see how this cut can be worn. 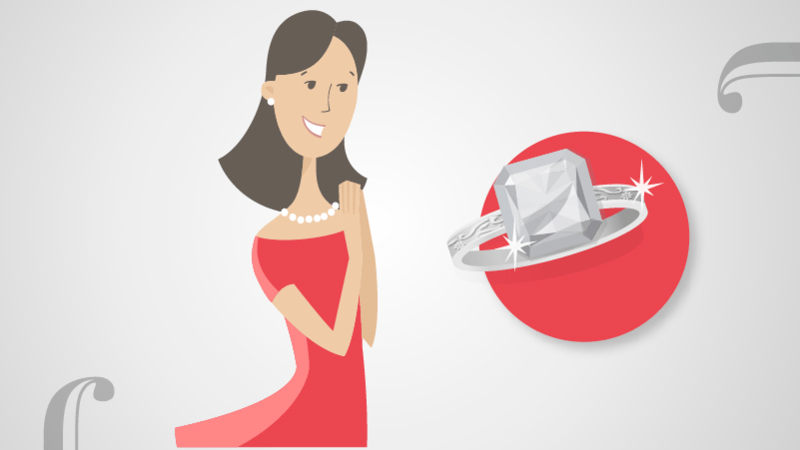 But how do you know which setting will really make your diamond sparkle and shine? The cut of a radiant diamond makes it sparkle the second it hits any light, so this diamond does not need an intricate setting to really make it pop. Many ladies prefer a solitaire radiant diamond to put all of the focus on the diamond. But if you want to add a little bit of extra sparkle, you can also pair a radiant cut center stone with a band featuring tiny diamonds all the way around. This will ensure that your finger is sparkling from every angle! Or take it up one more notch and pair your radiant diamond with a halo setting—just make sure you’re wearing sunglasses so you aren’t blinded by the incredible sparkle! If a halo setting is not your style, try pairing your radiant diamond with two side stones or baguettes. Although you may think this would drawn attention away from the center stone, it will actually do the opposite, bringing the focus right back to the main attraction. Radiant cuts are known to be a modern style, but that doesn’t mean they don’t look incredible in a more vintage-inspired setting. Feel free to pair your radiant diamond with an intricate setting as long as you keep the band thin so it doesn’t take overpower the center stone. One thing to remember is to stick with the four-prong setting, which will hold the stone securely in place. 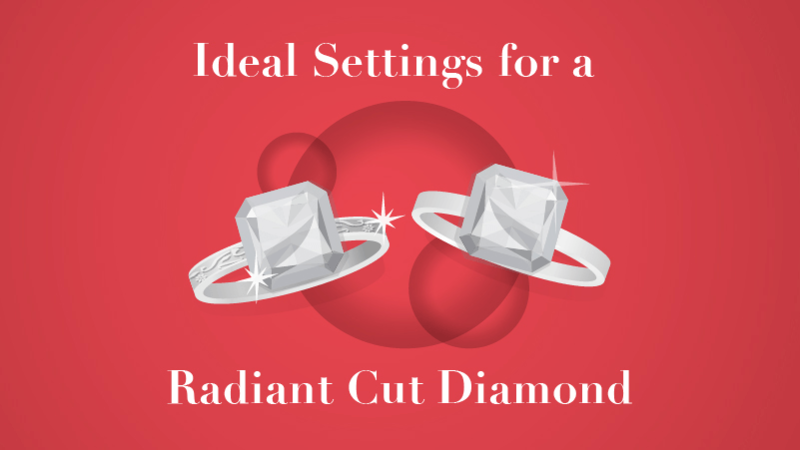 A bezel setting can limit the light reflecting out of the stone, so if you’re choosing a radiant diamond for its sparkle, make sure to avoid this setting. As you can see, the radiant cut diamond will stand out in almost every setting you could imagine. Whatever setting you decide on, make sure it is one that speaks to you and your personality. After all, this ring will be on your finger for the rest of your life, so choose one that will make you smile whenever you see it!